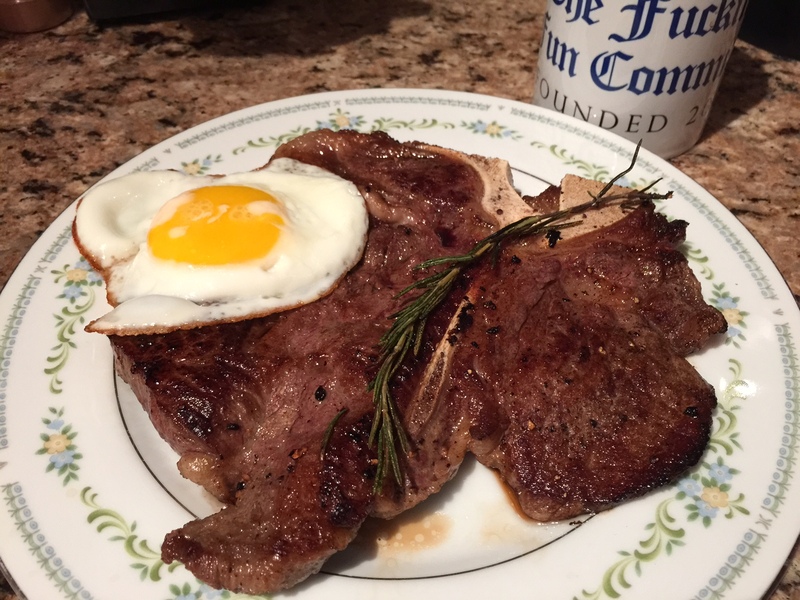 How about Saturday breakfast steak? 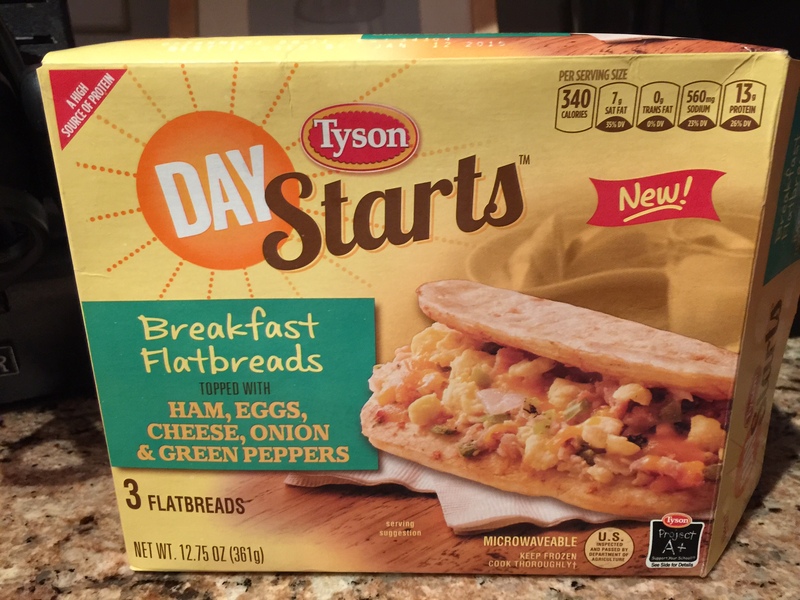 It’s Hump Day, and I found something in the freezer that I forgot we purchased a few weeks ago – Tyson Day Starts Breakfast Flatbreads. Actually not bad! I sprinkled some Tabasco on it and it was quite tasty. Not bad, Tyson! 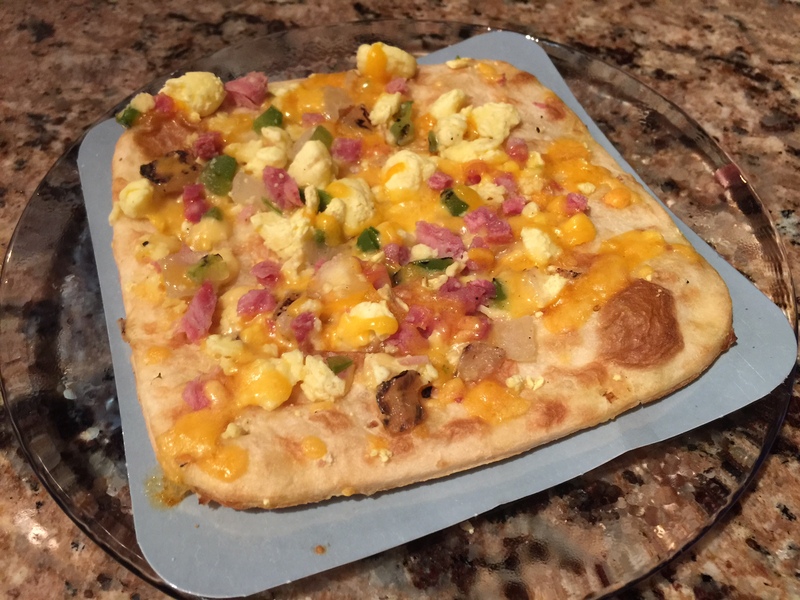 It’s Tuesday, March 3rd, and I’m sick-and-tired of breaking pans and skillets out to make myself a big breakfast – especially since I’m cooking for myself during the week. 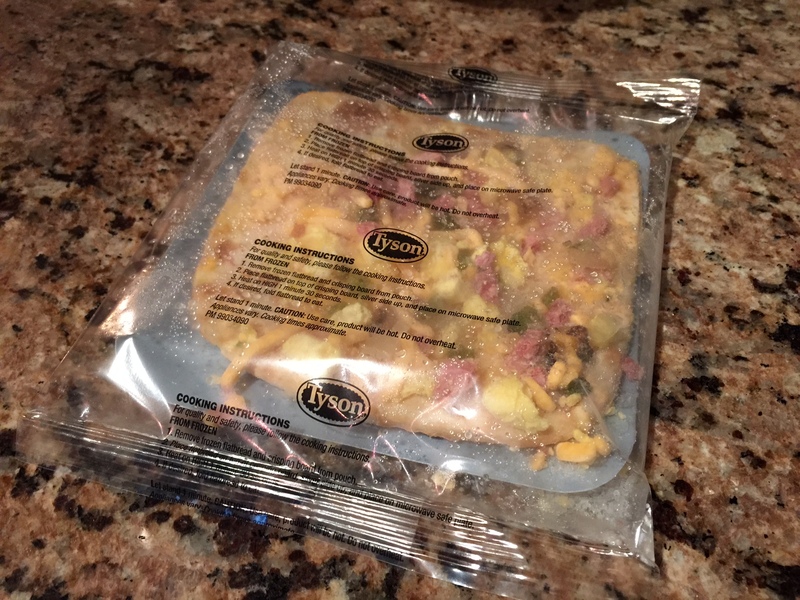 I’d like a breakfast sandwich, but those frozen ones leave more to be desired. 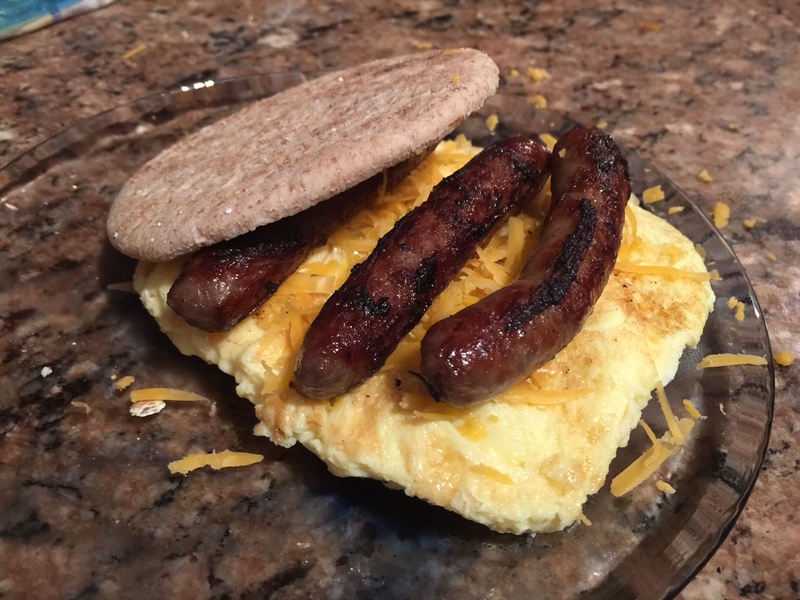 Now just add some egg, cheese, and sausages, and I’ve got one handsome breakfast sandwich! 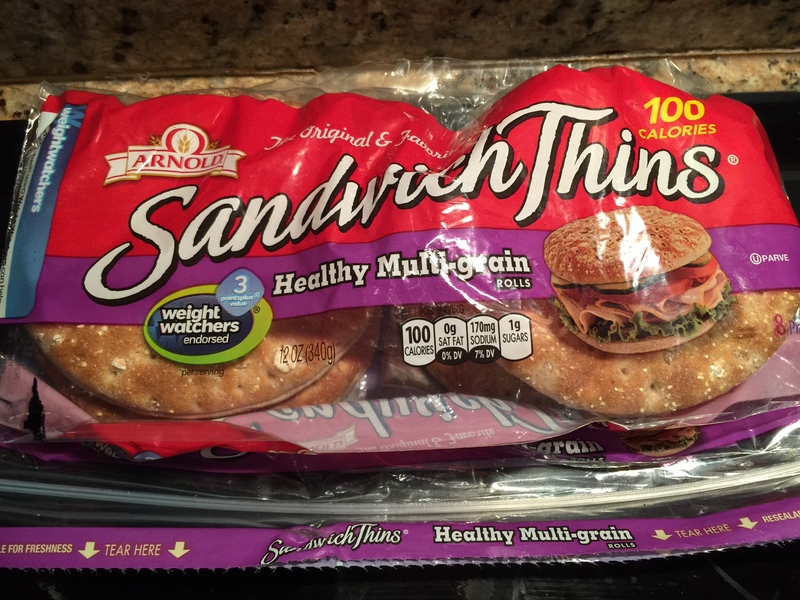 Screw you, freezer & microwave!